It has been an incredible fundraising year for the art department at the University of Arkansas. The program received a $120 million gift from the Walton Family Charitable Support Foundation back in August to create the University of Arkansas School of Art, and this week, the department got another $40 million for another exciting project. The new gift, given by the Windgate Charitable Foundation and announced this week by interim school of art director Jeannie Hulen, will be used to create a new Art & Design district in south Fayetteville. The district would include new facilities for art and design classrooms, labs, studios, and possibly public gallery space that will intended to “create a central hub for all creative endeavors of student and faculty artist and designers at the university and beyond. 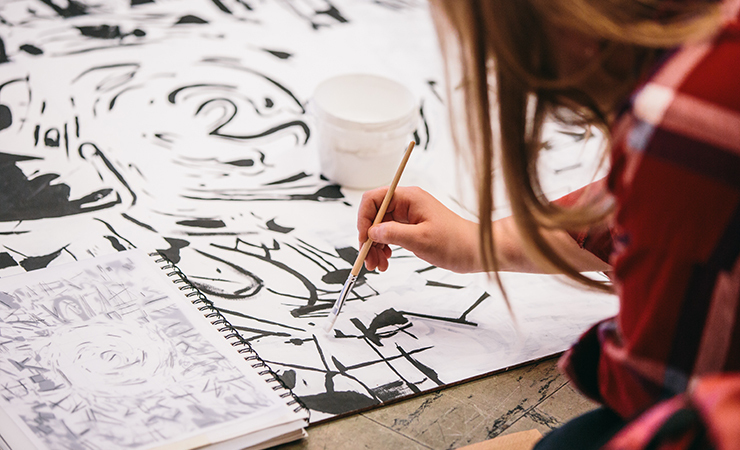 A University of Arkansas School of Art undergraduate works on a project in a painting and drawing class. The new district will be developed near Martin Luther King Boulevard and Hill Avenue near the existing J. William Fulbright College of Arts and Sciences Hill Avenue Sculpture Complex that opened in 2016. The UA is calling the gift “transformational” for the program. The gift isn’t the first time the Windgate Charitable Foundation has donated to the art department. The foundation gave $2 million in 2014, $500,000 of which along with $8 million from the UA helped to build the existing sculpture facility. The $40 million gift is, however, the largest in the history of the Windgate Charitable Foundation. 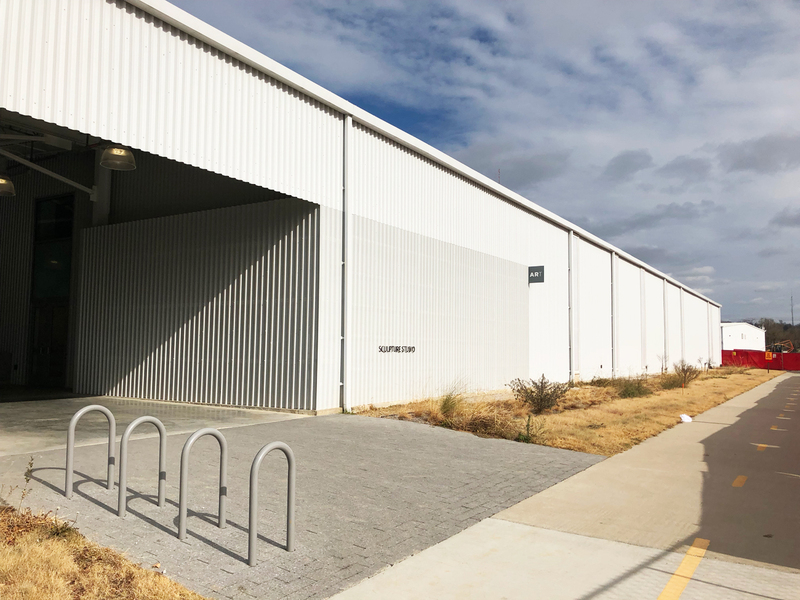 Though the new Art & Design District will technically be UA facilities, Windgate Foundation board member Robyn Horn said the idea is to create spaces for free and accessible programming that the public will be able to enjoy. 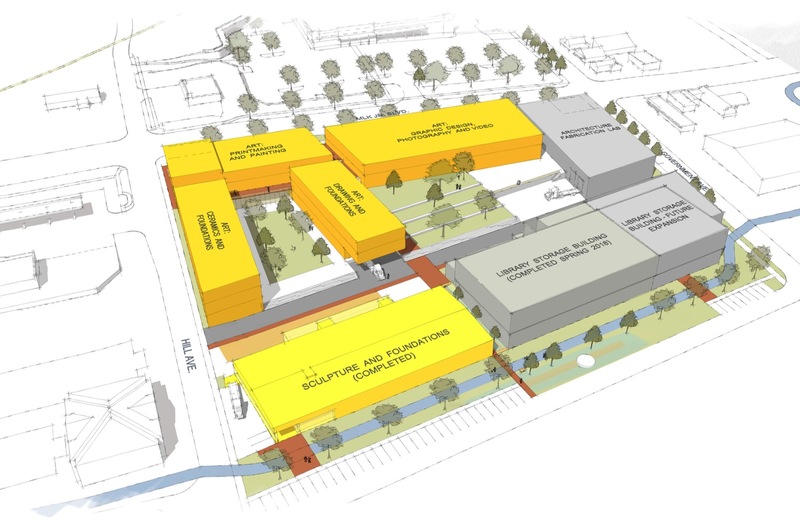 “The studio and design space will serve as key components to the Windgate Art and Design District and will invite the community to engage with School of Art faculty, students and international arts programs,” Horn said. The new facilities will also free up space in the UA’s Fine Arts Center, which will help the school develop their graduate programs in art education and art history. She also said the school plans to continue to expand their partnership with Crystal Bridges. “Together, we are establishing the groundwork for future growth that will directly empower the local and national art and design community and have a resounding positive effect on the culture of the entire state,” Hulen said.